Depending on the model, the technical specifications of Renault Master vary. However, there’s one constant in every model, i.e., technically, the vans feature latest engineering innovations in engine design and capacity. There are plenty of comfort features that the Renault Master series of vans offers. One striking improvement over its predecessors has been a more inclined position of driver’s seat in order to avoid stiffness in the back, particularly during long drives. The steering wheel is also set more vertically and smaller in diameter. Extra legroom is ensured by additional 6.7cm cabin length. Renault Master is a complete workplace in motion. It features retractable document holder on the dashboard, which is strategically positioned to ensure driver’s view is not disturbed. The backrest of the centre seat also features a swivelling desk, which can be used to hold laptop, cups, documents, etc. Some of the safety features include prominent protective bumper, broad side-protection mouldings, wide rear lights, bigger door handles for secure gripping, and large headlamps. 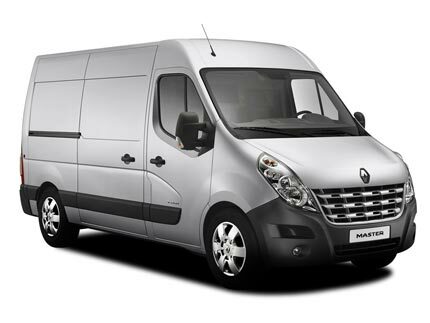 By opting for Renault Master, you are placing reliance on the most trusted brand when it comes to vans. Got a Renault Master to sell?